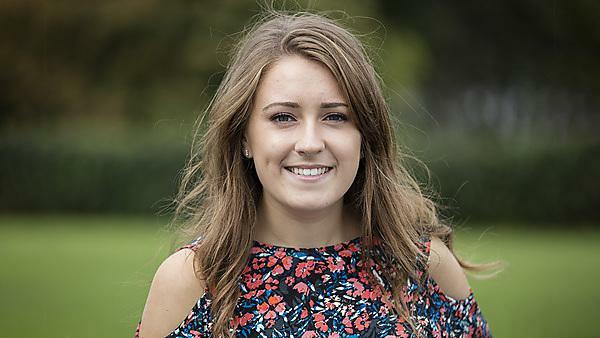 Since graduating in 2016, Rhianna Dobson-Love has gone on to work as an Occupational Therapist for the NHS. I gained employment in April 2016, so had a job lined up for when I graduated. I got a Band 5 rotational job as an Occupational Therapist and I am still in that position. I work as part of the in-patient department: so work is fast paced but rewarding. I have learnt so much in the past few months and made lots of new friends. I have since completed 6 month rotations in care of the elderly, trauma and orthopaedics, surgery and respiratory medicine. BSc (Hons) Occupational Therapy is quite a vocational subject and therefore prepared me well for being a qualified Occupational Therapist. When I first started I was in a very busy environment and had to learn a lot of new material in a very short space of time. However, I had great support from my new colleagues and I was still in touch with other friends from my course who were going through the same thing, which meant that we could all talk about it. In my first month of work, some friends and I presented our research project, which we completed in our final year at university, at a conference in Oxford. Being an Occupational Therapist gives you the opportunity to work with so many different client groups. You can also go and volunteer in different work settings and find out what you enjoy most – plus, this will also look great on your CV. We went on placement in each year of study. This was great because it gave you a taste of what it’s really like to be working as an Occupational Therapist. I also went on placements I wouldn’t have necessarily chosen for myself, but loved them in the end. I would recommend doing Occupational Therapy at Plymouth University because the course prepares you for career as an Occupational Therapist, the lecturers are all experienced and really believe that you will achieve great things during your time at university and beyond, and Plymouth is a great place to live as a student because the sea, shops, and nightlife are awesome. For more information about studying Occupational Therapy, please visit our BSc (Hons) Occupational Therapy page. For more information about our range of courses within the School of Health Professions, please visit the school page. If you would like to find out what other relevant alumni are currently doing, please visit the health and social work interest area.